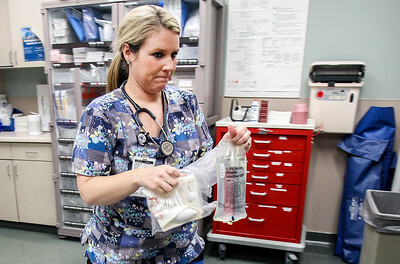 Sarah Nader- snader@shawmedia.com Registered nurse Lauren Purdom-Carr of Marengo grabs supplies while working with a patient in the emergency room at Centegra Hospital-Woodstock Friday, January 10, 2013. Purdom-Carr joined Centegra last December after finishing her degree. 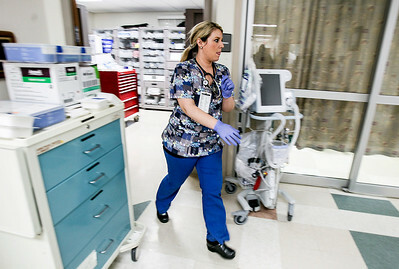 Sarah Nader- snader@shawmedia.com Registered nurse Lauren Purdom-Carr of Marengo works in the emergency room at Centegra Hospital-Woodstock Friday, January 10, 2013. Purdom-Carr joined Centegra last December after finishing her degree. 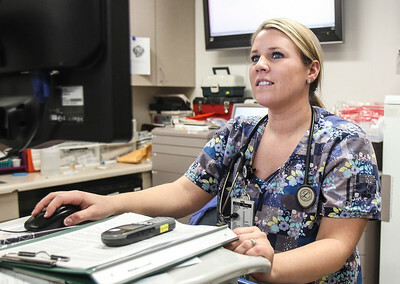 Registered nurse Lauren Purdom-Carr of Marengo works in the emergency room at Centegra Hospital-Woodstock Friday, January 10, 2013. Purdom-Carr joined Centegra last December after finishing her degree.